Portuguese territory goes well beyond the small strip of land in the southwestern corner of the Iberian Peninsula. It also comprises the Atlantic archipelagos of Azores and Madeira. Considered in this light, it is a highly diverse area in ornithological terms holding endemic bird taxa, large populations of seabirds, most of the rarest and sought-after species of southern Europe and many exciting Nearctic vagrants. Add to these prospects the natural hospitality of the Portuguese people, the mild climate, the modern infrastructures plus the excellent food and wine and it is easy to reach the conclusion that the country is one of the best destinations in Europe for the birdwatcher. 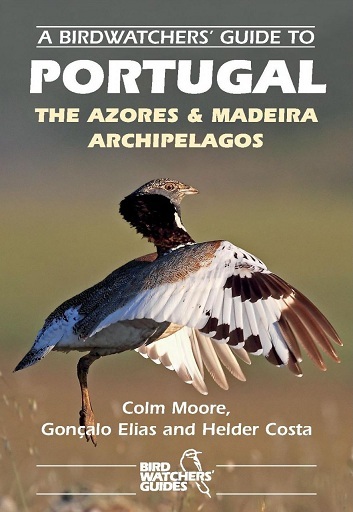 A Birdwatchers' Guide To Portugal: The Azores and Madeira Archipelagos is an enlargement of the first edition. Not only has all the information been carefully reviewed and updated but several new sites have been included for mainland Portugal (44 birding sites are now described). The scope of A Birdwatchers' Guide To Portugal: The Azores and Madeira Archipelagos has been significantly enlarged to include the Azores archipelago with all its rarity hotspots (not dealt with in the first edition). The section about Madeira has been thoroughly reviewed. This is now the first and only birdwatching guide to cover all of Portugal's territory. It is a fundamental reference for anyone, birder, birdwatcher or beginner planning to visit the country with an interest in its birds.